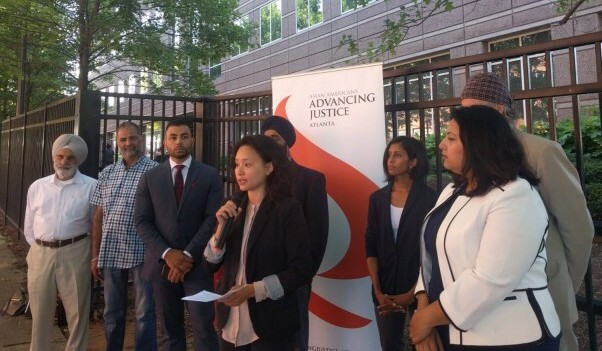 Atlanta, GA, June 28, 2018: On Tuesday, June 26, 2018, Asian Americans Advancing Justice-Atlanta (Advancing Justice – Atlanta), the South Asian Bar Association of Georgia (SABA-GA), and members of the Sikh community held a press conference to call attention to the ongoing hunger strike by migrants from India and other South Asian countries fleeing persecution at the Folkston ICE Processing Center and other detention centers throughout Georgia. The groups and community members are demanding that ICE officials and detention officers stop the illegal acts of retaliation against these migrants, and are urging the release of these individuals to their families and sponsors. “South Asian asylum seekers escaped political and religious persecution and arrived in the U.S. seeking protection. ICE officials and this administration have used prolonged detention as a tactic to deter people from pursuing their asylum claims. These asylum seekers are on a hunger strike to protest their indefinite detention. 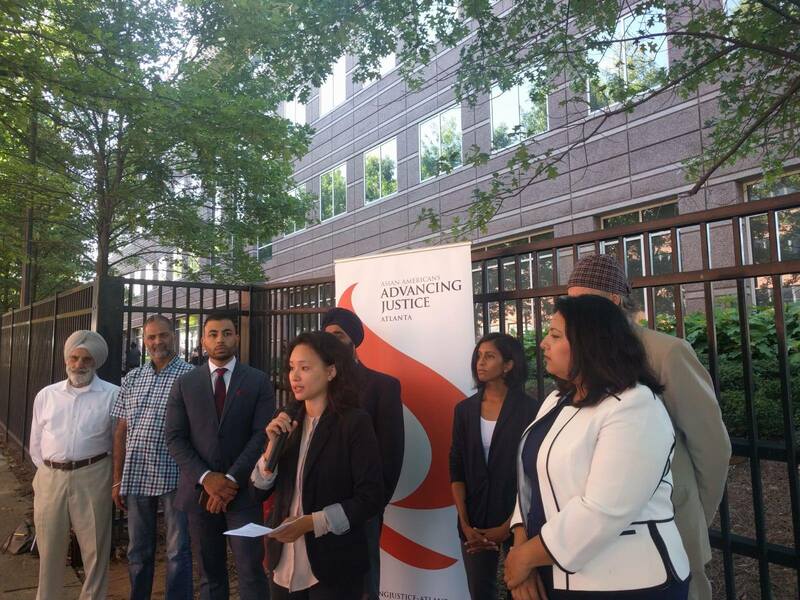 We demand that ICE officials and detention officers stop any illegal acts of of retaliation against the hunger strikers and release these individuals,” said Van Huynh, Supervising Immigration Attorney at Advancing Justice-Atlanta.